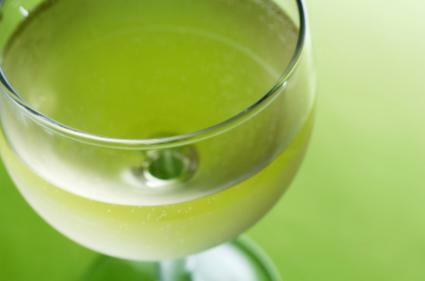 Sauvignon Blanc as a varietal tends to be one of the more affordable types of white wine. While it is blended with Sèmillon to make the expensive sweet wine from the Sauternes and Barsac regions of France, in its dry form the affordable wines have flavors of grass, peppers, and grapefruit. You can find the grape in wines from around the world, including Pouilly Fumé and Sancerre. This is one category with an abundance of Sauvignon Blanc choices are out there to taste. Not only are there good values in the $10 to $15 price range, there are even worthy, well-made Sauvignon Blanc wines in the $8 to $10 range. How can that be? Practically every winery in California has a version to offer; seemingly every bottle of wine from New Zealand has Sauvignon Blanc written on it. Just about every wine-producing country in the world grows Sauvignon Blanc and uses it as a single varietal or blended with something, usually Sèmillon or Chardonnay. Typically, these wines are crisp, taut, and flavorful and abound with sharp acidity that makes them excellent partners with food. They are popular and widely grown, which drives the prices down without sacrificing quality. These wines are renowned for their herbaceous, mineral, and grassy aromas and flavors. Sauvignon Blanc is everywhere, with many excellent and diverse versions available in the U.S. for less than $15. You can find some above that price, but it's not necessary to pay more to find a bottle to make you happy. One proviso, however, is that a French version from the Loire Valley, a Sancerre or Pouilly-Fumé, will be difficult to find below the $15 price tag. Likewise for most of the excellent Sauvignon Blancs that come from South Africa, but a Mulderbosch is usually worth the extra price of admission. The key is to look for producers who know what they're doing and have several different varietals in their wine portfolio. The following wines are from wineries that consistently put out some of the best Sauvignon Blanc wines under $15. In the Golden State, Sauvignon Blanc is a major white grape that runs second in production volume only to Chardonnay. Its general profile for this white wine is a lemon-lime snap of the fingers with herbal, mineral notes, and occasionally some buttery textures. Note also that California's so-called Fumé Blanc is actually Sauvignon Blanc that has some neutral oak aging that may impart toastiness or butteriness. BV Costal Sauvignon Blanc, Napa Valley. Beaulieu's Napa Valley Sauvignon Blanc is always welcome with its citrus, apples, herbs, honey, and chalky aromas and flavors. The historic winery also makes an aromatic Coastal Estate Sauvignon Blanc that is priced slightly lower and is worthy of consideration. Sauvignon Blanc, Napa Valley. Misses are rare at Napa Valley's Beringer and their Sauvignon Blancs are usually a good acid test for other wineries. Their appealing wines zing with grapefruit, lemon, and melon fruit and bright acid. Fumé Blanc or Sauvignon Blanc, Sonoma County. This is a northern Dry Creek winery that produces a bright Fumé Blanc with tropical fruit, citrus, lovely floral bouquet, grass notes, and a slight creamy texture. Sauvignon Blanc, Anderson Valley. Husch Vineyards are up in Mendocino County and have been making award-winning Sauvignon Blanc since 1980. They age their wines in both stainless steel tanks and oak, which gives it a creamy toast. Bright and racy with citrus, melon, cut grass, and a fruity crisp finish. Fumé Blanc, The Fumé, Sonoma County. When in doubt, I'll use a Murphy-Goode Fumé Blanc as a backup plan. They have several versions from Sonoma County, Alexander Valley, and a Reserve that stand out for their tropical, citrus, and melon fruit aromas and flavors. The palate is muted with honeysuckle, cut grass, and some minerals. Bright and lingering finish. Sauvignon Blanc is the poster child for New Zealand's wine industry. They are vibrant and taste closer to a Sancerre from France rather than a Napa Valley Sauvignon Blanc. New Zealand wines are taut, razor-sharp, and defined by green limes, green melons, green vegetables, and herbs. Look for the ones from Marlborough or Hawkes Bay. Sauvignon Blanc, Marlborough. Matua Valley Wines is credited with being the first producer of Sauvignon Blanc in New Zealand. First isn't always best, but fortunately, in Matua's case, they are always in the running. I never hesitate to pick up a bottle of their Marlborough with its lip-tingling lime, passion-fruit, pineapple, and slight mineral notes. They have partnered with the Beringer Blass Wine Estates to expand their distribution worldwide and making them easier to find. Sauvignon Blanc, Marlborough Private Bin. Villa Maria is a family-owned winery and is one of New Zealand's earliest, established in 1961. The Private Bin Sauvignon Blanc is from Villa Maria's affordably priced line but still delivers a wine with great aroma, flavors, and balance. Made from several vineyards throughout Marlborough, the lively white pops with tropical fruit, lime, and bright acidity that help frame New Zealand's Sauvignon Blanc. This crisp, herbaceous wine pairs well with white fish, shellfish, and white meat poultry. While the above wines are excellent examples, you may find many others from around the world that you love, as well. When in doubt, ask your local wine seller for recommendations, and enjoy all that this delicious wine has to offer.